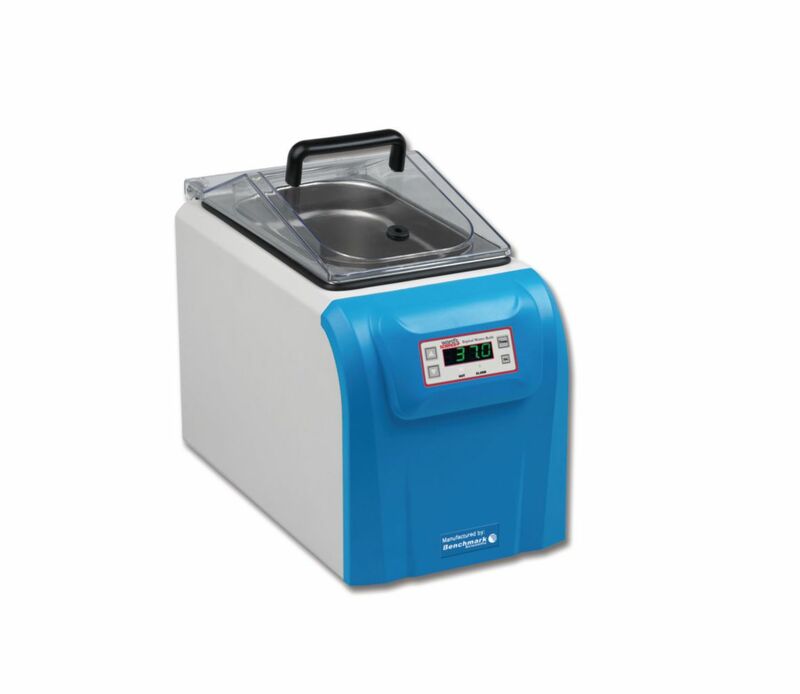 The Ward's Digital Water Bath series is designed to guarantee superior accuracy and performance in a compact footprint. 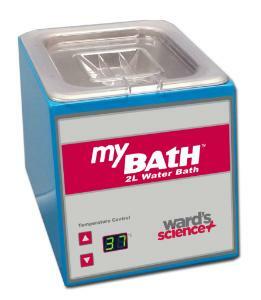 With four sizes to choose from, there is a myBath to fit every lab. 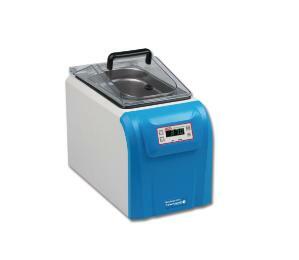 The 4, 8 and 12 L models include easy to use controls, allowing the user to digitally select and monitor settings. Adjustable in 0.1°C increments, the temperature is shown on a large, 3-digit display. The proprietary Quik-CAL™ feature allows for simple, in-lab calibration. High efficiency insulation maintains temperature stability and uniformity within the bath, while keeping the housing cool to the touch. All Ward's Digital Water Bath models feature seamless, stainless steel chambers for easy cleaning and long life. The chambers resist rust and have no corners to collect dirt or contamination. The larger 8 L and 12 L units have drains for hassle-free water changes. The 4 L, 8 L, and 12 L models include a see-through cover that can be removed, or flipped back on a rear hinge to conserve bench space. The lid's gabled design will divert condensation to the front and back of the bath, away from samples. The myBath 4 L is supplied with racks to accommodate 1.5/2.0 mL, 15 mL and 50 mL tubes. Caution: Regular use of tap water can lead to rust and pitting depending upon local water supplies. For best results, distilled water should be used to fill the water tank.